Mix all of the above ingredients and pour into an unbaked pie shell. 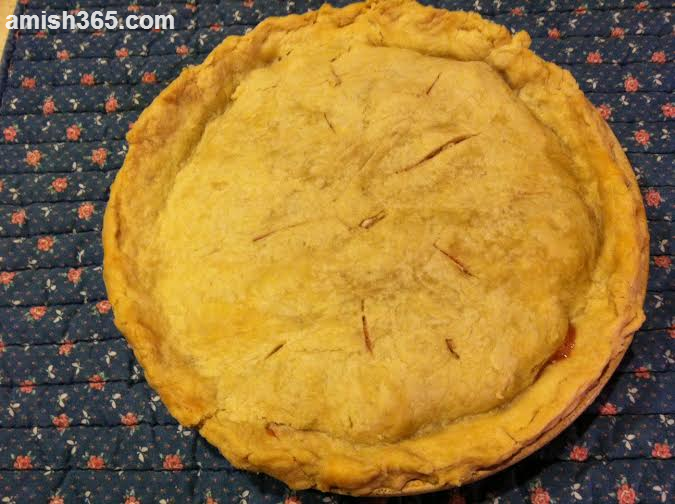 Put on a top crust and flute and crimp the edges and make some slits in the crust so that heat can escape. Bake pie for 10 minutes at 400, then at 350 for 30 minutes.